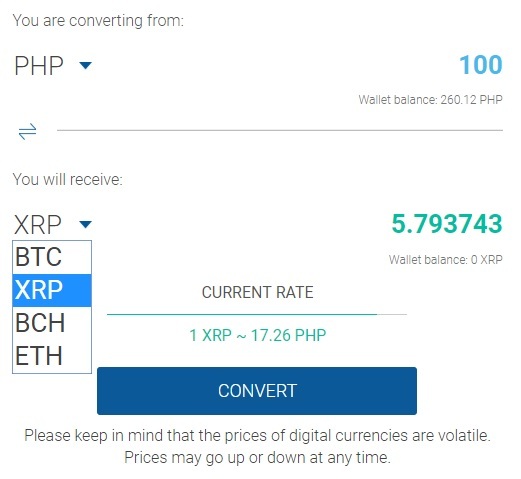 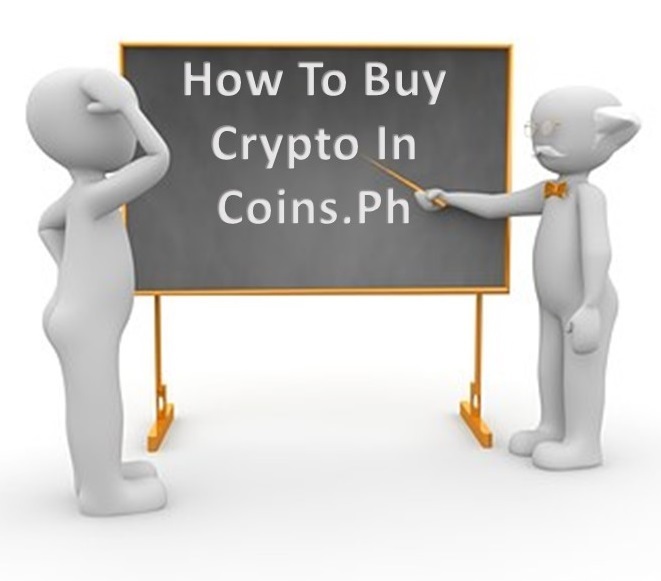 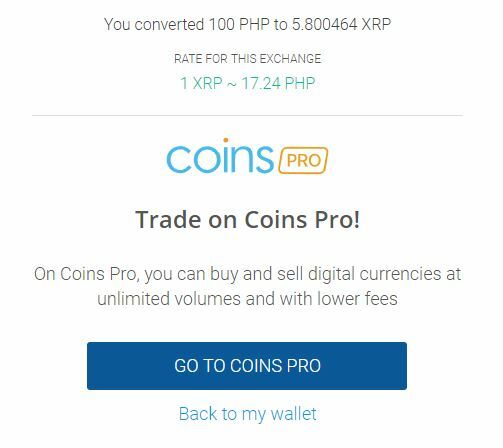 This is a step by step tutorial on how to buy crypto like Ripple XRP and Ethereum ETH in Coins.Ph. 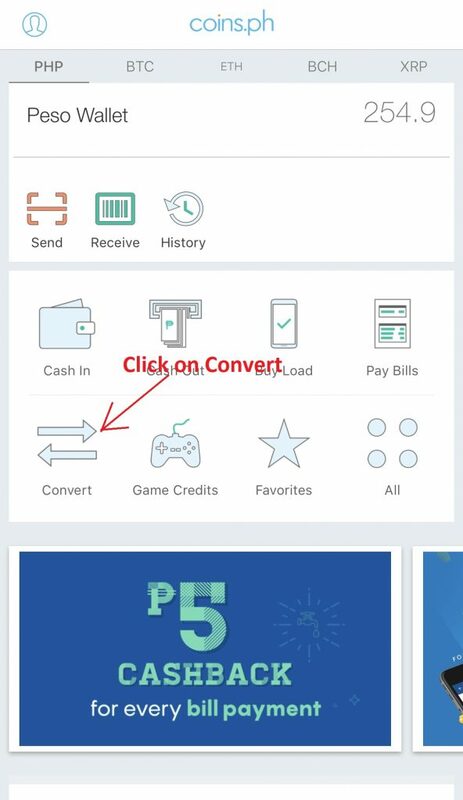 If you don’t have an account with Coins.Ph yet, please sign up using this referral https://coins.ph/m/join/k5jk9f and we both get P50 pesos each. 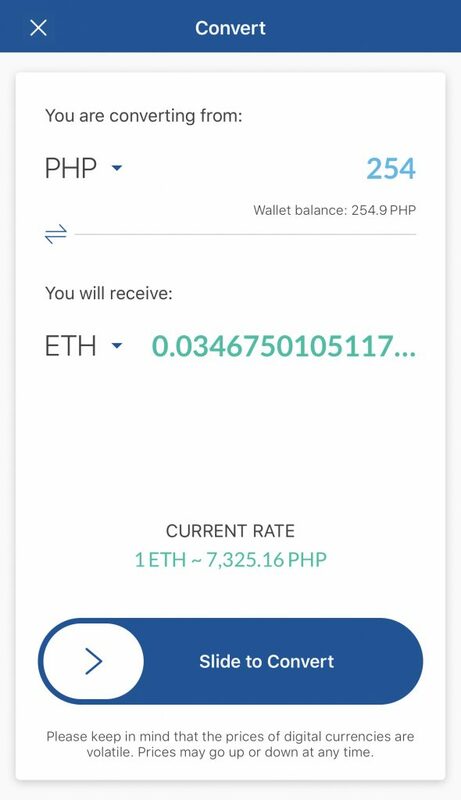 Log in to your coins.ph wallet. 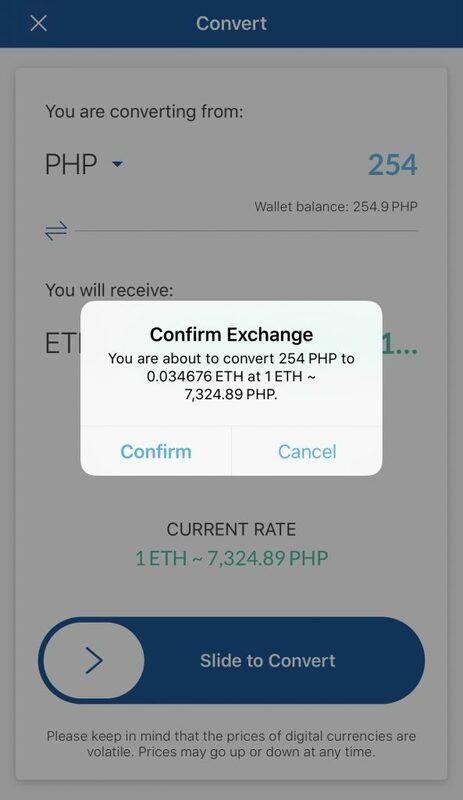 Convert your “PHP” to “ETH” as shown below. 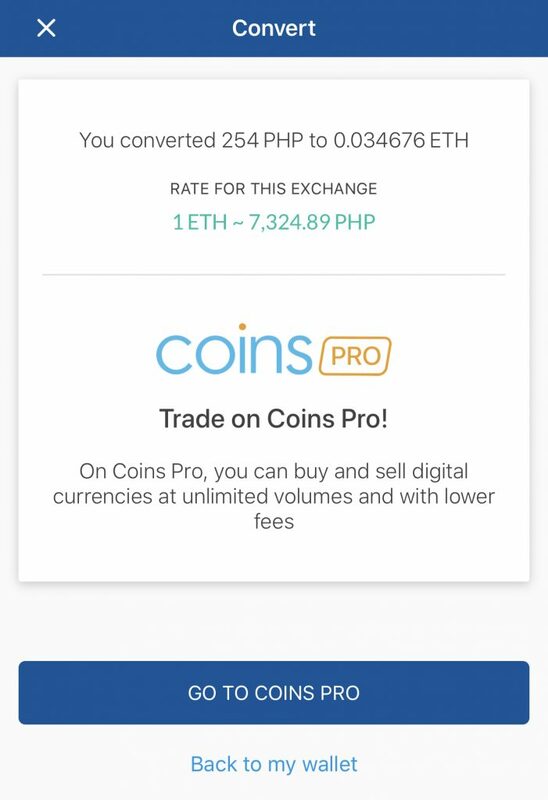 That’s it you just bought Ethereum.